Filing an application for Social Security Disability Insurance (SSDI) benefits, like almost any dealing with a governmental entity, is not an easy experience. Thus, many potential applicants engage the services of an attorney experienced with SSDI applications and benefits to help them move their application through the SSDI process. In many cases, these attorneys provide a service beyond that of a legal claims representative in front of the SSA. Some of these attorneys provide consultation to the applicant, guiding him/her to structure and strategize his/her application so that he/she has the best possible chance of success. In fact, these attorneys act in the same way as attorneys in a typical legal action would act – to gain the best possible result for their client. However, a recent Supreme Court ruling prompted the SSA to set forth some changes to the federal rules and regulations dealing with SSDI claims, and, more specifically, representation of those who have filed an application for SSDI benefits. An overview of these changes, and how they may affect SSDI applications, will follow below. As is the case with all federal agencies, while Congress sets out the law, which provides a general understanding of the purpose of the agency, it is the agency itself that creates rules and regulations, which serve to fulfill the objectives of the law. These rules and regulations are set forth in the Code of Federal Regulations (CFR), and the SSA is no exception. Disclose whether the Claims Representative suggested that the applicant seek an examination by any individual who provides an opinion as to the state of the applicant relevant for the purposes of the SSDI application. While, at first glance, these new rules and regulations may appear to be commonsensical, in reality, it can potentially poison the dynamics between the various players at the SSDI hearing. Specifically, at the SSDI hearing, currently, while there are three separate “sides” – the applicant represented by the Claims Representative, the SSA, and the ALJ, the intent is that all three sides will work together to achieve the correct result, whether that result is a denial or an approval of SSDI benefits. However, as some commentators to the proposed new rules and regulations have indicated, requiring the Claims Representative to provide the notices listed above may have the effect of tainting this dynamic, and turning it into more of the adversarial process that is present in courtrooms across the country. Disclosing the above-referenced information could color the Claims Representative in the eyes of both the ALJ and the SSA, thereby severing any trust between these sides. Obviously, this could potentially have the effect of seeing more applications denied. If you are considering submitting an application for SSDI benefits, and want to be sure that your application has the best chance at success possible, contact an experienced SSDI benefits attorney to help you navigate the process. 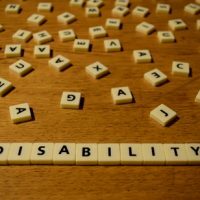 The legal team at Farrell Disability Law has the experience necessary to help you not only prepare a successful SSDI application, but also to shepherd your application through the SSA, especially in light of these new rules and regulations. Contact our Jacksonville office today. "My insurance company told me I was ineligible to benefits that I was entitled to receive. I went into Tom Farrell’s office, and within five minutes he read my policy. He quickly discovered that the information that the insurance told me conflicted with my policy. He is honest, reliable, professional and he cares about his clients." ~ Pamela W.
Farrell Disability Law is located in Jacksonville, FL and serves clients throughout Florida, including Jacksonville Beach, Jacksonville, Atlantic Beach, Orange Park, Doctors Inlet, Neptune Beach, Callahan, Bryceville, Middleburg, Fernandina Beach, Clay County, Duval County and Nassau County. © 2015 Farrell Disability Law. All rights reserved.